Microsoft has updated its digital notebook app, OneNote for iPhone and iPad. The revamped iOS app users will benefit from a consistent look on every platforms, full-page view on iPad and a bunch of formatting options. With OneNote, users can capture important information for personal and professional life. 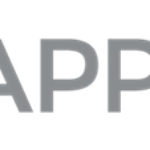 The app automatically syncs the notes across devices and the iPhone version now opens existing notebooks created in Microsoft OneNote 2010 format or later. Today we are proud to announce the new versions of OneNote on iPad, iPhone and Android. Internally, we have been calling them version 2, and we think you are going love all of the new features and functionality available in these updates. A lot of the features are based on your feedback and we look forward to seeing what you have to say about this update. If you have an iPad, iPhone or iPod, please download OneNote for iPad or OneNote for iPhone from the App Store, where you can get started for free today. We think that once you start using OneNote to keep track of your ideas, share with others and be more organized, you will never need another note-taking solution. 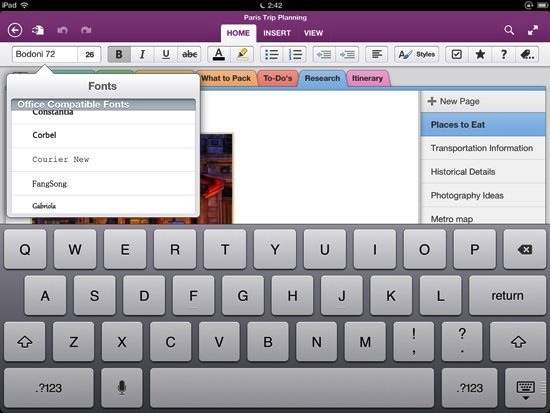 OneNote is for iPhone and iPad are now free for a limited time. You can download them by following these direct links: iPhone / iPad.